Conveniently situated near the University fo Johannesburg and Johannesburg city centre, the Garden Court Milark is ideally located for both corporate travellers and leisure travellers alike. All rooms have: alarm clocks, airconditioning, radios, colour televisions with satellite, telephones, modem connections, refreshment facilities, hairdryers, irons and ironing boards and private bathrooms. 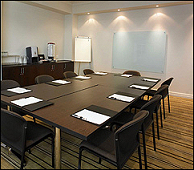 The Hotel also has conference facilities which may be used for both corporate functions and meetings.